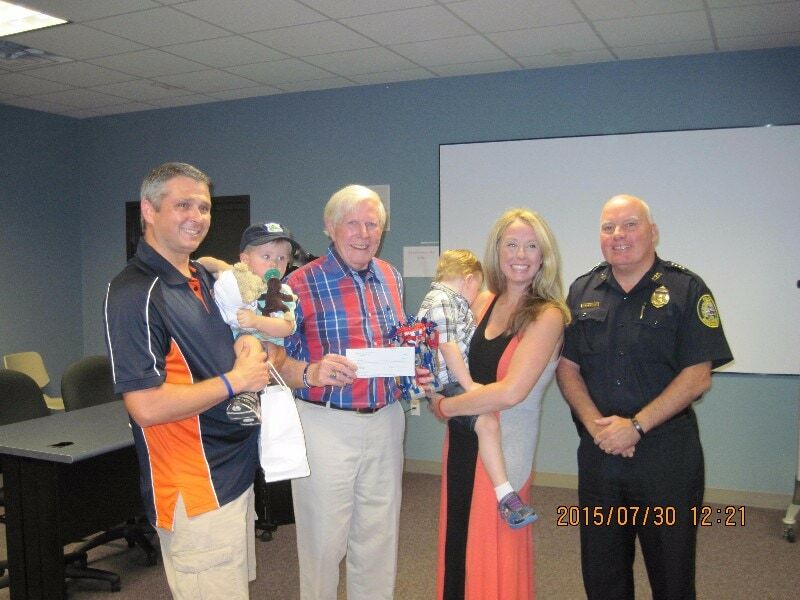 On July 30, 2015, Cops For Kids With Cancer went to the Lowell Police Department and made a $5,000.00 donation to the family of Dalton Bingham, a 3 year old boy from Lowell who has ALL Leukemia. In photo left to right. Father Scott with younger brother, Bob Faherty, Dalton with Mother Laura, and Supt, William Taylor.